Why choose Park Hotel Táltos? 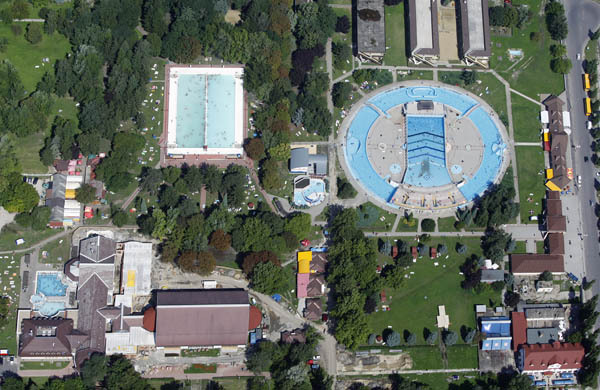 The Zsóry a spa with thermal water at Mezőkövesd . Louis Zsóry in 1938, left to his own estate to do petroleum exploration. But they found thermal water instead of the petroleum. The water came from 875 meters deep, and the waterspout was 30 meters high. Later came to light, that was an ancient trias-age cistern. The effect of thermal chemical Zsory defines significant calcium, magnesium, chloride, hydrogen sulphide and carbonate content . The average of 15.5 mg / l sulphide content is the highest among all the sulphurous waters of Hungary . The sulfur is absorbed through the skin , decrease blood pressure by vasodilation effect , improves the blood vessels including the coronary arteries supplying blood , walls of blood vessels sulfur content , thereby reducing their cholesterol content and thus also the risk of atherosclerosis . The sulfur bath -inflammatory effect, stimulates respiration , improves metabolism. The sulphide treating certain skin diseases can also play a role. The Zsory water contains calcium, magnesium and bicarbonate content, has anti-inflammatory properties . High chloride content improves the resilience , recovery and general tonic effect. A lot of beneficial effects as a result of the thermal field Kövesd successfully used water cure a variety of diseases, illnesses. The 11 acres of beautifully landscaped spa has 21 pools. 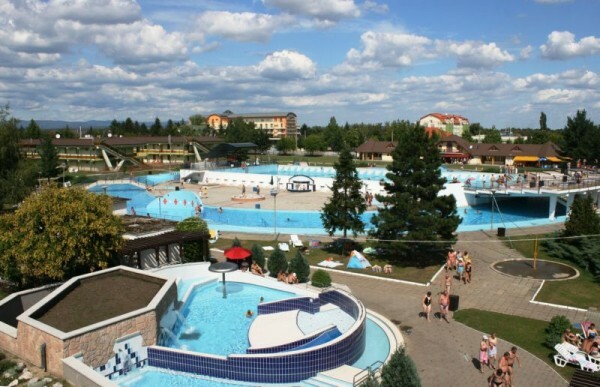 The relaxing experience is provided by the wawe pool, leisure pools, and children pools. This bath’s indoor pools are open all over the year, where 3 different degrees of thermal water, swimming pool, sauna, and jacuzzi provide the adventures. Calcium - Magnesium - thermal water containing bicarbonate free carbonic acid , containing high sulphide sulfur is more than 70 years of healing service , since 1968 is officially thermal grade that is suitable for rheumatism diseases, trauma , orthopedic surgery intervension aftercare. It improves the metabolism , enhance the body 's resistance. Near the Hotel we can find the locomotor system rehabilitation center, it send a lot of people to the spa to recover. I would like to get information from your newsletter!